Ten full days of cruising, snorkeling and photography in placid blue-water mangroves and coral reef. You'll see rarely encountered wildlife, much of which you may never have heard of (and some you have). You'll snorkel on some of the most precious and beautiful coral reef in the world, while cruising in luxury on a converted wooden sailing ship around a World Heritage listed region and one of the world's most extraordinary landscapes. 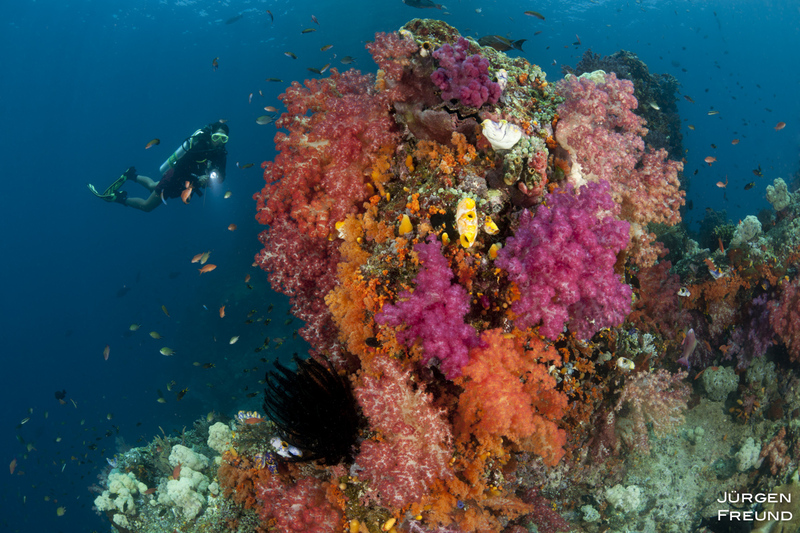 We will live aboard the comfortable Pindito with one of Raja Ampat's most experienced crews.